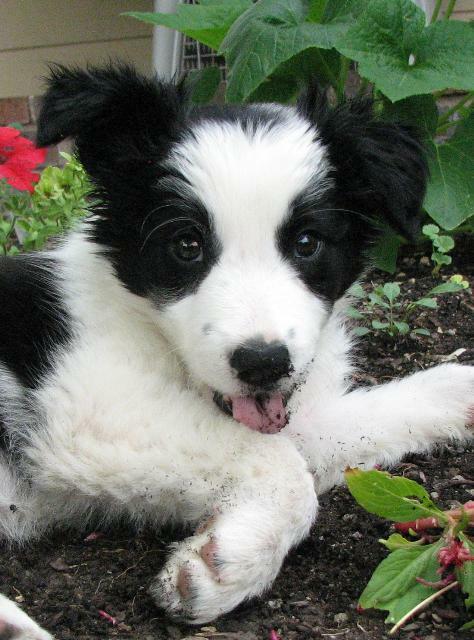 After watching the pups, and how quickly their ears were coming up, I looked through some old photos and found some Echo puppy photos. Here she is the day I bought her home. She was about six weeks old. Now I know why we end up with so many dogs!! They are sooooooooo cute when they are puppies!!! What a cutie. Wow, so very darn cute!!! 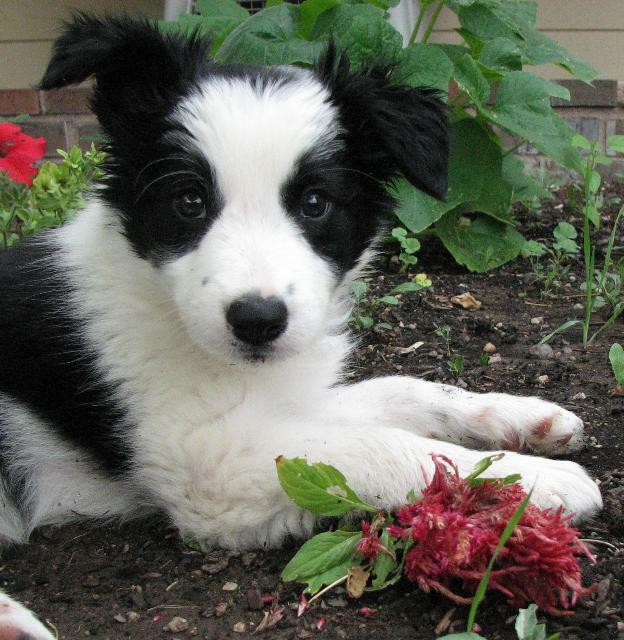 I swear I am getting a Border Collie one of these days!